Media Matters for America engaged in a sustained pro-Obama, anti-Romney campaign in the month before the 2012 presidential election according to a report by Garth Kant published at World Net Daily on Wednesday. Media Matters is a 501(c)(3) tax-exempt organization that is supposed to avoid making statements for or against political candidates. The IRS recently revoked the tax-exempt status for the conservative Patrick Henry Center for Individual Liberty for posting anti-Hillary Clinton and John Kerry statements to its Web site. 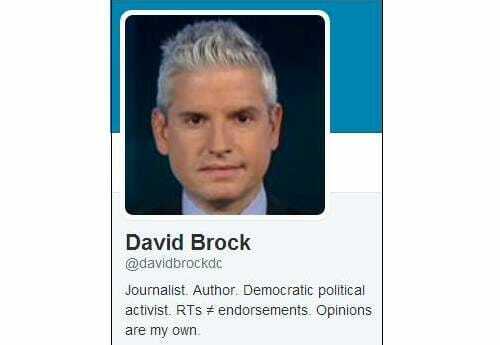 As Gateway Pundit reported on Wednesday, Media Matters Chairman David Brock describes himself on his Twitter profile as a “Democratic political activist.” Brock uses the account to promote Media Matters activities. As Kant points out, Media Matters is hiding behind the legal fig leaf of media watchdog to attack Romney and defend Obama. The evidence is there for the IRS to act to revoke Media Matters’ tax-exempt status for engaging in electioneering as it did to the Patrick Henry Center. Will David Brock’s status as a “Democratic political activist” protect his group Media Matters from the application of equal justice under law by the hyper-partisan Obama administration?